It is difficult to put into words what elements are necessary to build a successful, effective church music ministry, but there are some general principles that must be followed. Here are a few principles I consider to be the most important. The ministry must be built on the principles of the Word of God. In the many years that I have taught practicing church musicians who were taking graduate level music courses, I have found very few who could say that they knew all the references to music in the Bible. A solid music ministry must be grounded in the Bible. “Except the LORD build the house, they labor in vain that build it” (Psalm 127:1). There must be a strong leader in charge of the ministry. Dr. Lee Roberson said, “everything rises and fall on leadership,” and 1 Chronicles 6:33 says that the leaders of the music in the temple were “the chief of the fathers of the Levites.” In other words, they were at “the top,” the best that could be found, “the cream of the crop.” The “music pastor” must love the Lord with all his heart and he must keep his own life pure and clean. He must be developing himself into the best musician he can possibly be and he must be constantly improving his abilities. He must also be willing to work hard, because I Chronicles 9:33 says that the musicians “were employed in that work day and night.” A music ministry cannot be built by a lazy musician no matter how talented he might be. The music leader must love what the Lord has called him to do so that his enthusiasm will be felt in every aspect of the ministry, including the congregational singing, the choir rehearsals, the special groups, and all his personal contacts. He must have high standards for himself as well as for those with whom he is working, but he must also be realistic concerning the potential of the people who serve him: the pianist, the organist, and any other musicians who are his helpers (Romans 16:2–3). Having said this about the leader, let me now mention some practical things I have found over the last 60 years that work in building a church music ministry. Start with the children. I have taught music to children from kindergarten all the way up to doctoral candidates, and I must say it is easier to teach the children. It is amazing how fast they can learn! The two basic things that must be taught are learning to sing on pitch (match pitches) and how to perform and maintain a steady beat (rhythm). If you are having trouble in your music ministry, it is probably because you have adults who have never learned these two basic skills. The best thing about these two skills is that once they are learned, that cannot be unlearned! So begin with the children, and the sooner the better. The emphasis of the Bible on children cannot be ignored in a music ministry (Luke 18:16). It is better that the people sing than that they listen to singing. Why not turn the whole congregation into a choir. Under proper leadership, the hymns of a vast congregation could be made to rise like the swell of an ocean’s roar, and cause angels in heaven to lean over and listen. Have your congregation memorize hymns, and then have music classes to teach them how to read music. As your church begins to realize how wonderful it is to sing enthusiastically for the Lord, they will beg to be in your choir. Develop as many special groups as you can. The more you enlist people into your ministry, the faster it will grow. But be certain that you develop groups, not just soloists. Don’t have “prima donnas” who sing solos but do not participate in the choir. If a person has a good enough voice to sing a solo, he or she should definitely be a part of the choir. Develop the innate hidden talent that is in your church. The rewards of being the a music ministry are many: I get to serve the Lord with something I love with all my heart; God gives me the privilege of seeing people’s lives changed through the ministry to which He has called me; I now have former students who are serving the Lord because of the opportunities I have had to encourage and challenge them, and a large number of them are now even serving the Lord as effective ministers of music themselves (Psalm 71:17–18). What more could a minister of music ask for? 1. Let the husband be the authority in the home, not your mother or yourself. 2. Give responsibility to your husband and to men. 3. You may let your husband keep the money and do the bud getting. 1. Need not work if your husband’s income is enough for family needs. 2. If she could meet all the priorities in her home, & she has time she may work w/ his approval, in order to find personal fulfillment. But work near the home, not abroad. 3. She should care for the needs of her husband personally, & not let helpers do them. 4. If she can cope with work in the home w/ the help of husband & children she need not employ a helper. 4. Help wife in house work. WHAT CAUSES THE SPIRIT OF THE HUSBAND TO REACT TO HIS WIFE? 1. When she rehearses forgiven failures. 2. When she neglects home responsibilities. 3. She has undefined expectations. God wants every Christian family to succeed because that illustrates Christ’s success in saving and sanctifying the Church. Love is the way of all living things. Animals, birds and even flowers show love and harmony. The world is beautiful because of it. God invented love and He is the source of all true love. His love is the foundation of all loves. True love is very illusive. Writers, composers, singers and painters search for it. They find it in their dreams and art, but they don’t seem to find it in reality. Often, they find true love after it is gone. Love is a gift from God for man to enjoy. He made Adam to fall asleep and formed Eve from one of his ribs (a feminine rib). He brought her to him- a gift for a companion who was his mirror image on the female side. Love comes as a fire that slowly consumes the heart until it explodes that even the floodwaters cannot stop (Song of Solomon 8:6). It comes exclusively for only one. As one wisely summarized it: Love is the loneliness of one, the happiness of two, and the quarrel of three. Jesus said that we cannot serve two masters because we only love one and hate the other. Love is only understood and enjoyed fully if is concentrated on only one person or you will not comprehend and taste its fullness, and the less it will give back to you. Love’s meaning is only complete if it is devoted to only one. You cannot dictate or divide love because it comes naturally, spontaneously and softly. 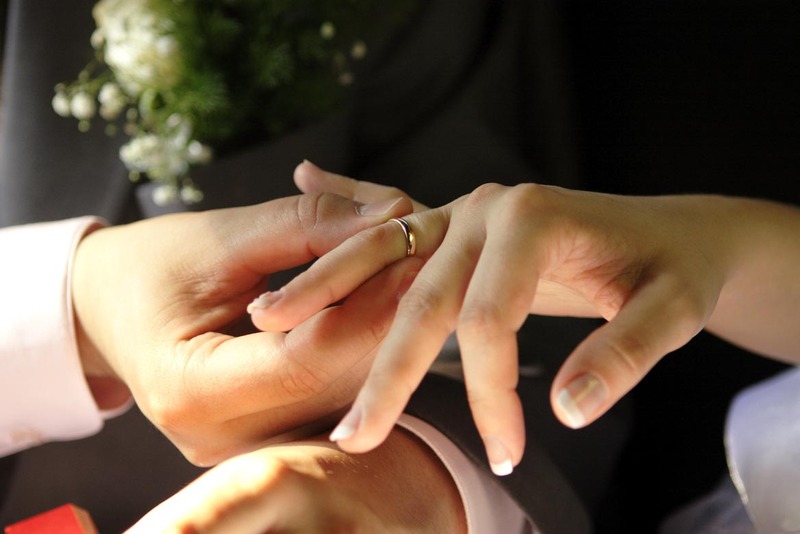 In this aspect, marriage serves the purposes of God and man. Married love is for companionship. God saw that Adam was lonely even in the Garden of Eden (Genesis 2:18). In this harsh world we live in, two are better than one for they can cope and withstand better together (Song of Solomon 4:9-12). Married love is for enjoyment. Intimacy in marriage is the sweetest joy man and woman can experience because it is a gift from God. It is also for completeness because man is so different from a woman, and vice versa yet together they complete and complement each other. Fruitfulness is the miraculous result of married love. Only a woman’s body can produce a child so that a man must love, care and surrender to a woman in order to have one. The woman also must chose the right kind of man to be the father of her children. No other wealth in this world can equal the joy of having a child who is truly your own flesh and blood. Marriage is protection against other men or women, and also against dangers, insecurities, needs, and changes in this world. Paul wrote that a husband should even give his life for his wife if necessary. Best of all, a successful married love is an illustration of your vibrant and satisfying relationship with the Lord Jesus Christ, as your Savior and Lord. In the ultimate sense your marriage has nothing to do with your spouse. It has everything to do with your surrender to the Lord Jesus Christ. The husband is commanded to lead, and to lead in love. Love is the woman’s deepest need and without love she reacts. That love is given without conditions for it was a command and need not to be earned. The wife is commanded to submit, and to submit with respect. Respect is the man’s deepest need and without it he reacts. That respect is given without conditions for it was a command and need not be earned. The spiritual husband will continue to love his wife regardless of her respect and in the long run his love will bless her. The spiritual wife will continue to respect her husband regardless of his love and in the end her respect will bless him. This is God’s way for resolving doubts and conflicts in marriage. Marriage is a test of how you unconditionally love and respect your spouse as you obey, honor and please the Lord. When your first goal is to obey and please Jesus Christ, your needs will be met and your marriage will flourish. When you truly love someone, you desire to truly possess him/her, to make him/her your own- that means marry him/her in the right way. Otherwise, it is not believable. Love is the most excellent way (1 Corinthians 12:31) because love is practicing the very essence of God. Love then is better than anything else, therefore it is the greatest. It is the best way to exercise all good things. It is the sum total of all gifts and the manifestation of all goodness. Love the Lord Jesus Christ and He will give you such kind of love. Love makes life worth living and significant. Only when love is the motivation for something does that thing becomes meaningful. The ideal is to fall in love with someone and to discover that he/she is God’s will for you. How do you maintain True Love? Romance keeps marriage interesting. Hold her hand again, look into her eyes. Commitment keeps romance from dwindling away. Remember it was your decision, and you promised in the presence of God and man. Then you spent so much for your wedding. Fight hard for the unity and success of your marriage and family. Fight all temptations, renew and review love for each other often. Be near each other as much as possible and don’t allow work, business or ambition to drive you far from each other for a long time. In short, if you want your marriage to become successful, take time and enjoy it. Philosophy is the system of values and beliefs that guides our actions. The philosophy of music should branch forth from this definition. The values and beliefs of a philosophy must be rooted in a solid foundation. For the world, these beliefs are based on human experience, emotion, and opinion. The Christian's values, however, should be grounded in the sure foundation of scripture. A Christian whose value system is not rooted in scripture is no different from the world. Many people overlook scriptural teaching in the area of music. Instead they rely on what they like, or on what they think is good music. The real question is "what is God's philosophy of music?" The scripture has a lot to say to answer this question, and it speaks about the area of music many times. Remember, the commitment must be to the Word of God, not human experience. God does have a philosophy of music. It can be described in six words, as follows: the plan, priority, power, purpose, principles, and participation of music. From the creation of the world God planned for music to be a vital part of creation. In Ezekiel 28:13, many Bible scholars believe that the prophet Ezekiel is speaking of Lucifer, the great archangel. The context is in the garden of Eden. Ezekiel says that "the workmanship of thy tabrets and of thy pipes was prepared in thee in the day that thou wast created." So, it seems very probable that music was created by God in that first creation week. 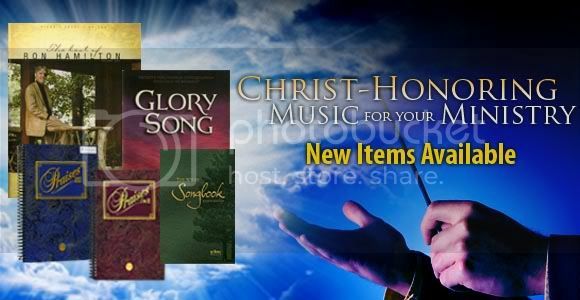 The over 600 scripture passages with reference to music point to God's overwhelming plan for music. God made it; it was His plan, not man's. It was made to reflect the beauty and order of His creation. Not only did God create the plan for music but He placed a special priority on music. Two hundred times in scripture God commands us to sing. In the New Testament, it is clear that God has chosen the foolishness of preaching to save souls, but second only to preaching is the area of music. Early on in the Old Testament the people of God knew there should be an emphasis on good music. Genesis 4:21 talks about a man named Jubal who was the father of all who handle the harp and organ. In Exodus Moses expressed himself through music. God wrought a great victory at Jericho partially through music. David set certain paid individuals to lead in the singing and playing of music in the temple. He saw the priority of music. All the way through Israel's history, music was a priority, and it should be a priority in these days as well. God showed the priority of music when He included a divinely inspired song book, the Psalms. There is such a priority placed on music in scripture simply because of the power of music. Music has the power to communicate a message far greater than the simple spoken word. Many times in scripture when someone was overwhelmed with emotion, he would communicate that message through song. Deuteronomy 31:19 speaks of a song being a witness, and Deuteronomy 31:21 says a song can testify. 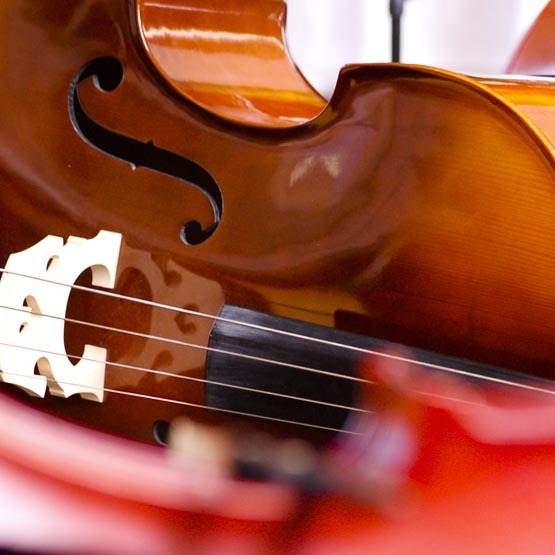 Music has the power to accomplish victories as it did for Joshua and Gideon. Music can comfort as it did for King Saul. Music can lead us to worship, or music can lead us to rebellion. Man understands the power of music very well. There are music companies who have researched the effect of certain styles of music on shopping. The world uses music to set different moods for various activities. It is no surprise to anyone that music can be a powerful tool to communicate a certain message. If God planned music and placed great priority and power on it, then what is its purpose? There is a threefold purpose of music. First, music is to glorify God. Glorification has the idea of giving a right opinion about God. Psalm 147:1 says, "Praise ye the Lord; for it is good to sing praise unto our God; for it is pleasant, and praise is comely." Throughout the book of Psalms music is used to glorify the character of God and to praise Him for His mighty works toward men. This glory and praise can be summed up in one word: Worship. A Hymn is written for the express purpose of worship. It focuses on the person and works of God. The second purpose is subordinate to the first. It is found in Colossians 3:16. Music is for the teaching and admonishing of the saints. Simply put, music should edify the believer. Truly, if the music is glorifying God, it will also edify the believer who is filled with the Spirit (Eph 5:18-19). Many times Gospel songs are written with the express purpose of edification. The third purpose is the least emphasized in scripture, and that is the evangelization of the lost. Scripture does not specifically state this purpose, but it does imply that when the unsaved see the changed life of a believer, and their heart felt worship and praise to God through singing, they will recognize the difference. The problem comes when we are willing to sacrifice the first two purposes for the purpose of winning souls. This is pragmatism. The end does not justify the means. Music should first glorify God. If it does, then it will edify the believer. If it edifies the believer, then the unsaved will notice and may be saved. These purposes should be applied to each area of music and its performance. The text, music, performer, and performance style must conform to the scriptural purpose in order to be scriptural music. All four of these areas must be evaluated in order to make proper choices in music. The plan, priority, power, and purpose of music have been laid out. Now, what are some basic scriptural principles of music? It is clear that music will not fulfill its Biblical purpose unless it agrees with Biblical principles. Music styles change, but the principles of God's Word do not. Cultures change, but Biblical principles span all cultures. The "new song" principle is found in Psalm 40:3. 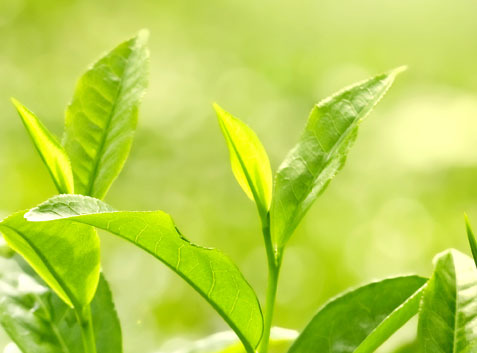 Our song as Christians should be new in quality and freshness. It should be characteristic of a changed life. When a person is born again, the Bible says that he becomes a new creature in Christ. Those old characteristics of the natural sin condition are passed away, and all things are become new. This change certainly should affect the area of music. The newness in quality is not speaking exclusively of the text, but is including music, performer and performance style as well. We should not be conforming to the world but confronting the world with our changed life. The second principle is the principle of appropriateness. In other words, the music and the text should be appropriate for each other. Colossians 3:16 says, "Let the word of Christ dwell in you richly in all wisdom; teaching and admonishing one another in psalms and hymns and spiritual songs, singing with grace in your hearts to the Lord." Paul links the word of God to specific kinds of songs. It is clearly making a connection between text and music. There are appropriate songs for presenting God's message and there are inappropriate songs for presenting God's message. The method of presentation is just as important as the message. It will either support the message or detract from the message. Putting God's message with just any old music will not suffice. The music must agree with the text. The third principle is the principle of association. There may be some music that cannot be used simply because of the predominant associations. A certain song may be associated with a performer, a place, or a movement that is not in submission to scripture. Also, certain styles are associated with specific cultures or activities. For example, jazz is associated with the barroom scene. Christians should not associate themselves with wicked, pagan styles of music. This applies to secular music as well as sacred. Many churches today will gladly use music associated with wickedness in the "worship" of God. What a poor testimony, and blasphemy upon the name of Christ. "Wherefore come out from among them and be ye separate, and touch not the unclean thing (II Cor 6:17)." There are also some basic musical principles that need to be addressed. What makes a song a good, quality piece of music? Musicians in general would agree that the music itself (without the words and either secular or sacred) can be of excellent quality or poor quality. Music always consists of three elements: Melody, harmony, and rhythm. Without any one of these elements a composition is not music. These elements must be put in proper priority. The melody is the theme of the music. The harmony and rhythm are supposed to elevate the melody. Any time the melody becomes subordinate, the music is unbalanced. Both secular musicians and sacred would agree that melody affects the spirit or soul, harmony affects the mind and rhythm affects the body. Musicians know that they can get people to respond different ways by over emphasizing certain elements. For example: the New Age Movement seeks to help people self actualize by reaching an altered state of consciousness. One of the ways they use to accomplish their goal is music. The New Age style of music over emphasizes harmony. It is done on purpose to help people meditate and lose their mind. Styles are made by simply emphasizing certain elements in different ways. The only people who consistently argue about these basic musical principles are Christians! The secular musicians know exactly what they are doing! All these principles have been discussed because the Bible is clear that all Christians should be participating in music. Whether it be in special music, the choir, or congregational singing, all Christians should be singing and making melody in their hearts to the Lord. Not only should Christians be participating in music, but the right kind of music. It takes the Spirit's power and a knowledge of scriptural principles to properly discern what kind of music to use in listening or in ministry. It is not an easy task, but it is a necessary one. Just like God has commanded Christians to witness, he has also commanded His children to sing. It is disobedience when a born again believer chooses not to participate in music. Psalm 100 says, "Make a joyful noise unto the Lord all ye lands." God has a philosophy of music. He does not want us to just pick and choose as we see fit. So, we must have a value system even in the area of music. A sieve, to run our music through. The plan, priority, power, purpose, principles, and participation of music is a good place to start. God is concerned with the methods we use as well as the message that is presented. Drawing lines in the sand and taking strong stands in this battlefield is not easy, but it must be done to please the one who withstood the strongest battle when He went to an old rugged cross and defeated sin and Satan. The question is "How bad do I want to please God?" Mark has desired to preach since he was in elementary school. Since that time, God has guided him to be involved specifically in the ministry of evangelism. To prepare for the ministry, Mark earned a B.A. in Bible from Bob Jones University an M. Div. degree at Heart of America Theological Seminary, and is presently working on a D. Min. at Northland Baptist Bible College. Mark married Amy Setchfield in 1997. They have two daughters, Megan and Madison. Both Mark and Amy have gained much valuable ministry experience in their local church and at The Wilds Christian Camp. Mark has preached at many youth rallies, revivals, evangelistic meetings and camps, as well as on the foreign mission field. “God sets the lonely in families.” Psalm 68:6. The Word affirms that God’s cure for loneliness and insecurity is the family (Gen. 2:18). That is why there cannot be an inhabited world without families, values and love. Job was a model of character, integrity and poise before his wife and children in the face of extreme trials. He maintained a big-picture perspective in the midst of his testing while doing some soul-searching and asking God questions about life. He never abandoned his commitment to his core values. I Corinthians 13 details the face of a house full of love. 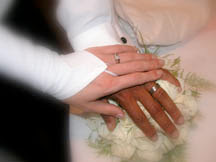 It does not dwell in regrets despite wrong decisions because the wrong person becomes the right person upon marriage. 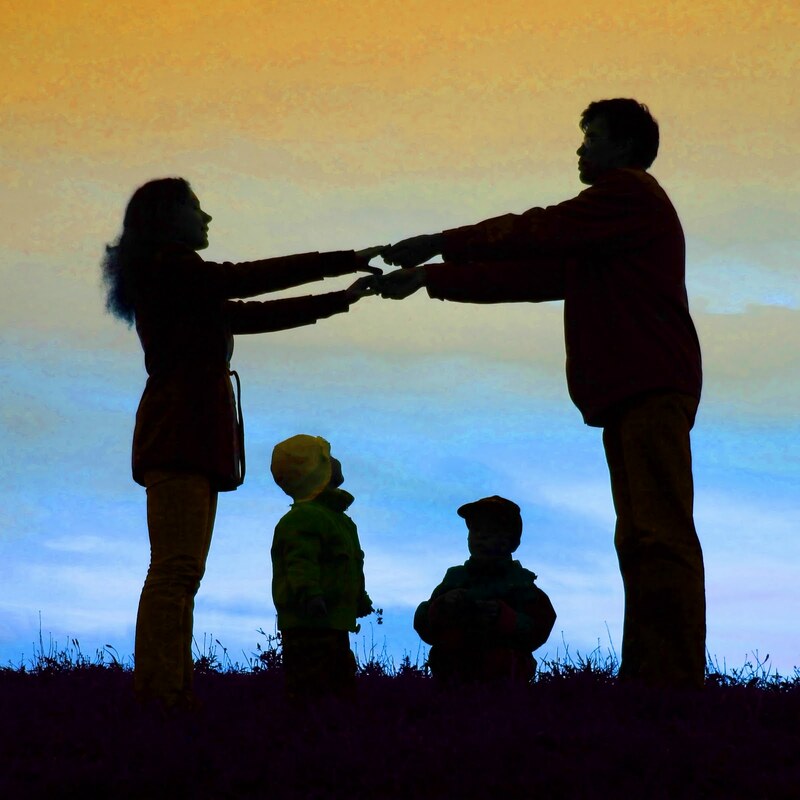 Spouses accept each other because they forgive each other. Love is acceptance, not perfection. In this connection, children are not an accident or burden, but a bundle of joy and possibilities. Creating love in the family is a joint effort of each member, everyone contributing his share. Timothy’s family started as a mixed marriage. But his mother Eunice and his grandmother Lois gave him all the love, and faith by teaching him Scriptures. They provided the balance and security that made him bold to decide to go on a dangerous mission with the apostle Paul, 2 Tim 1:5; Acts 16:1,2. The diligent man prizes his possessions Proverbs 12:27 and achieves his goals. His hands bring wealth 10:4, and he will rule people 12:24. His house becomes a wisdom center 1 Peter 1:4-20; a learning center Deuteronomy 6:6-9; a hospitality center 2 Kings 4:89-10, Luke 14:13; a health center Exodus 15:26; a craft center Proverbs 31:10-31, Acts 9:39; and a ministry center Acts 18:1-4. The home is the hub of life and outreach. Hard work gives it creativity, service, a healthy life and financial means to achieve for God. Noah was diligent in his zeal for the Lord. He walked with God, Genesis 6:9; he listened when warned by God, 6:13-21; and he worked with God in building the ark, 6:22 and preaching to his people, 2 Peter 2:5. He gave up what he accumulated for 500 years for a greater purpose- to save the world and start a new generation of mankind with a new and higher understanding of God and his purposes Genesis 9. The home is a man’s castle where he protects his family from the influences of a hostile world and where his children start their training to prepare for life. Basic to that training is putting saving faith in the Lord Jesus Christ as personal Savior and Lord. The home is also a man’s treasure house where he keeps his most cherished possessions- love, character and godliness for his wife and children. Here he begins to build a godly generation that will strengthen, propagate and preserve the Christian faith for the future in the face of great wickedness that is to come. By his new-found faith the Philippian jailor brought salvation to his household, Acts 16:31, and a joyful life despite great odds during the time of the Roman empire, 16:32-34. Righteousness, love, diligence, and faith are necessary family values that will never change even in this 21st century. Let us build our lives and that of our families upon it. "The world knows nothing of the new song. They know nothing of deliverance from sin and peace with God"
"One man knew the Psalm but the other man knew the Shepherd"
"The 'culture' of the house of God must be joyful, yet at the same time honour the deeply reverent ethos of biblical worship"
"They therefore disclaimed the help of a fleshly world and its idiom, relying instead on the power of God, and so they had spiritual power in their worship, not the carnal 'power' of entertainment-emotionalism"
"There must be a marked distinction between sacred and secular"
"There, numbers have sometimes increased, but faithfulness and spirituality have plummeted"
Assuming that your Sunday School Department is departmentalized into 3 divisions: The Children, Youth, and Adults. Here are some points to consider in planning your long-range teaching ministry. Determine to teach the whole Bible. 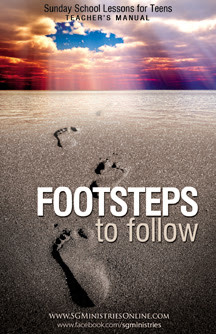 Decide how long your Through the Bible Plan will be carried through as a whole and by division. For any department to use typical lessons, decide on the most needful and important topic (even if you don’t have the materials). Check the materials you have in hand. Look (buy or write) the lessons you don’t have. 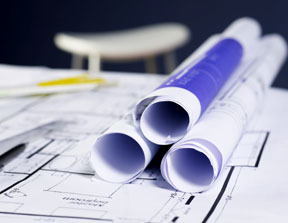 Preparation and writing of materials may be done gradually as you need them. 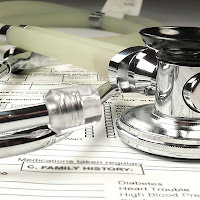 Designate a person who will commit to prepare, monitor and keep materials. Challenge teachers to study and make own lessons. Remember, this is a difficult but very rewarding endeavor. Children love music. A happy child is a singing child who sings and hums as he works or plays. When my wife and I sang in a choral group, one of the things that impressed us was that the singing captivated the attention of four and five year olds for an hour and a half. Music ministers to all age levels in a way that preaching and teaching can never do. The music that you and your children sing and listen to is more important than you may realize. The songs that we sing and listen to permanently shape our understanding of who God is and what the Christian life is all about. The songs that children learn are often remembered the rest of their lives. For that reason it is important that children have not only children's songs but that they also learn songs that they will sing when they are adults. Children need children's songs. However, if we give our children only children's things that are apropriate for their age, we are training them to be children when they grow up. That is a mistake that is being made today and we are seeing the results in many college age young people. Many do not know how to be mature adults. It is important for children to learn hymns and other Godly songs that they will sing when they become adults . Hymns have a wealth of spiritual truths in them. A hymn with four or five verses will often have 30 to 40 spiritual truths expressed in it in comparison with praise and worship choruses which usually have only a few spiritual truths. Singing only choruses is like eating only french fries. Make sure you have a meal to go with your "fries". Don't neglect the goldmine of teaching and worship for you and your children in hymns. Children love to listen to well-sung hymns. The following is significant for anyone who is involved in training children in the ways of the Lord. In Psalms 44:11,12 it says, "Rid me, and deliver me from the hand of strange children, whose mouth speaketh vanity, and their right hand is a right hand of falsehood: That our sons may be as plants grown up in their youth-, that our daughters may be as corner stones, polished after the similitude of a palace." The result of ridding ourselves of ungodly influences is that our sons will be mature, and grown up in their youth, and that our daughters will be stable, mature, and refined. They will be pillars - able to stand on their own and providing support. A problem today is that young men are not grown up in their youth. One juvenile court judge said that girls used to be the stablizing influence even though the guys were doing things they shouldn't. However, today girls are no longer a stabilizing influence. They are involved in as bad or worse things than the guys. The sad thing is that many young people in the church are not much different than ungodly young people. Music plays a more important part in the problem and in the solution than I realized. As I looked at the context of Psalms 144, I noticed that verse 11 "Rid me..." was also given before that in verses seven and eight. In between these verses on ridding ourselves of ungodly influences is verse nine which says, "I will sing a new song unto Thee, 0 God; upon a psaltry and an instrument of ten strings I will sing praises unto Thee." Of all the places in the Bible about singing a new song, this is the only one that contrasts it with what it is not, and gives the blessing of singing a new song. A new song is not one from strange children - the ungodly. Nor is it vain words or falsehood. Songs borrowed from the ungodly do not result in mature young people. The blessing of singing only a new ( a decidedly Godly) song and ridding ourselves of ungodly influences is young people who are mature and who are prepared to make an impact for God's Kingdom. They also stand out in sharp contrast to society around them because of their uprightness. One of the characteristics of those who have rid themselves of music with a backbeat is bright eyes. This is especially noticeable in children and young people. Music with a backbeat dulls the eyes. We encourage you to raise the standard and provide decidedly Godly music for your family - music that is without question Godly music. Earthly entertainment is for a moment, eternity is forever. The Sunday after Pastor Geroy’s stroke was a day of trust and faith among the members of Grace Baptist Church (GBC) of Mandaue (Cebu) as well as many other Christians as everyone came together in prayer, thanksgiving and petition to God for his healing. We are sharing with you an excerpt from the sermon delivered at GBC Mandaue on 19 September 2010. Three days later, we received the news that Pastor suffered a mild stroke in Bukidnon. He only finished two days of his 4-day modular sessions on Church Administration to pastors. He is the seventh victim of the seven calamities within seven weeks at GBC Mandaue. Is God angry with us? What is He trying to accomplish in all these so-called calamities? In John 9:1-4, John told the story of a man born blind whom the Lord Jesus healed. Here, we point out reasons why God allows undesirable things to happen. 1As he passed by, he saw a man blind from birth. 2And his disciples asked him, "Rabbi, who sinned, this man or his parents, that he was born blind?" (His disciples have the notion that suffering is a punishment of sin. And it’s true. God does send suffering as punishment for our sin but not in this case. )3Jesus answered, "It was not that this man sinned, or his parents, but that the works of God might be displayed in him. (In other words, this happened so that God’s glory might be demonstrated. Then, he kept on teaching them.) 4We must work the works of him who sent me while it is day; night is coming, when no one can work. So, God allows hardships to happen 1) as punishment for sin, 2) as demonstration of His glory or 3) to teach His people. How should GBC Mandaue view these circumstances? Let’s compare our church with the church in Jerusalem in Acts 12. The believers in Jerusalem were starting a church. We too are starting a church in Mandaue City. Their ministry was expanding to the Gentiles. Our church is also expanding through many ministries and outreaches in different parts of Cebu Province. The Jerusalem Church experienced calamities of famine and persecution. 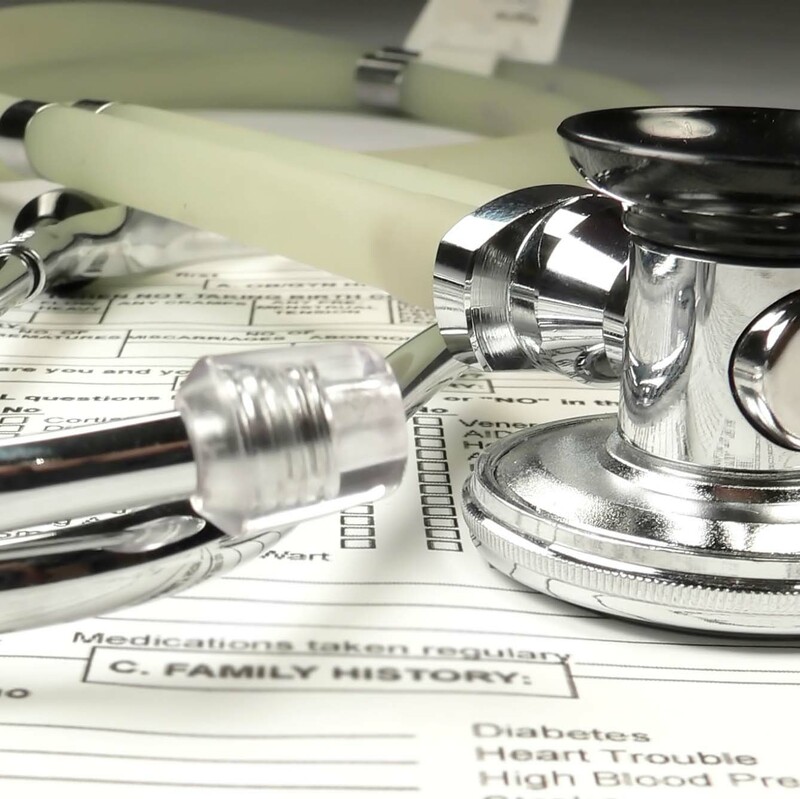 We are experiencing calamities of sickness and accidents. King Herod killed James the brother of John with a sword. Many of us got sick while some suffered the death of love one. Peter, the leader of Jerusalem Church, was imprisoned. Pastor Geroy, our leader is in the hospital. What a parallel situation! How did the Jerusalem Church respond? Verse 5: So, Peter was kept in prison, but earnest prayer for him was made to God by the church. The divine answer came. An angel of the Lord rescued Peter from prison. Peter then came to the house-church where many are gathering and praying. When he knocked at the door, a servant girl came to answer. She recognized his voice and in her joy did not open the gate but ran to where the believers are and reported that Peter was standing outside. But the believers said, "You are out of your mind." They did not believe. Some suggested, "It is his angel!" Peter continued knocking, and when they opened, they saw him and were amazed. How is our church responding? Upon hearing the news, text messages are streaming asking everyone to pray. Last Wednesday, we prayed like never before. With tears flowing from our eyes, earnest prayers were offered for Pastor Geroy’s safety and recovery. This spirit continued all throughout the week in our homes, our schools and in our offices. We did what we needed to do – we prayed. Sometimes, when things like this happen, we ask God, “Why?” Yet we don’t need to understand and know everything in order to trust Him. (Proverbs 3:5-6). God knows what He is doing and He is in complete control of everything (Psalm 46:10). In times like this what we need to do is simply pray, believe and be amazed. This is bright side of the story. After Peter escaped, King Herod punished the guards (12:19). Eventually, God also punished King Herod (12:20-23). On the side of the believers, because of the persecution “the word of God increased and multiplied.” (verse 24) Isn’t this an example of how God turned calamities into blessings? I am wondering why Pastor Geroy suffered stroke during his teaching ministry and not during his stay with his family. Was it coincidence or divine providence? The incident resulted to a lot of impact among our church people and in many Christians outside Cebu, all for God’s glory. It is more inspiring to see a mentor getting inflicted during ministry than during a vacation. It’s an avenue to learn not only from his teachings but also from his life. We too as a church are witnesses that we have grown spiritually stronger during this depressing moment. We have also shown the world how believers love and pray for each other. God uses calamities to bring out the best in His children. So, why Pastor Geroy? Just how many people knew and prayed when some of our members were sick? Many, but not as many as when people heard that Pastor Geroy is in the hospital. How many people rejoiced when our sick brethren got out of the hospital? Many but not as many as when Pastor will recover. God chose a faithful and popular servant to suffer so that many will know and marvel at His grace and might. Because of his illness, many people have started to pray not just for Pastor but also for GBC Mandaue and for the ministry in Cebu. It’s all about God’s renown. God allowed these circumstances to happen so that His glory will be demonstrated in our churches and in our country. God also wants to teach us. We are positive that Pastor will recover as soon as possible. We are looking forward to see him stand again in the pulpit preaching, teaching and praying, while we sit listening, smiling and remembering that things have returned to the way they were as if nothing has happened. On that day, we will be more amazed on the ways and works of God and conclude that in times like this, God is simply demonstrating His glory and grace. May this message be a blessing to everyone! Nine days after the stroke, Pastor Geroy’s appetite and strength have greatly improved. He is learning to sit and stand. His blood pressure is also under control. Visits and testimonies from believers on how God is working in their lives, families and churches have been encouraging. We thank our family and friends for their continued prayers for his speedy recovery. May God be praised! Little children express themselves in many ways. One of which is through songs & rhythmic patterns. 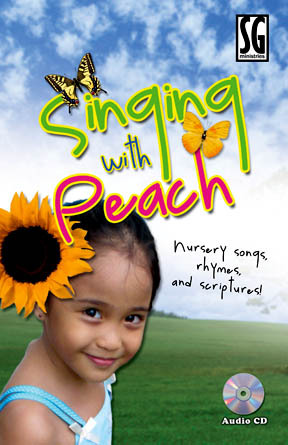 Sing and memorize Christian verses with Peach and her friends. Ideal for kindergarten and playschool. 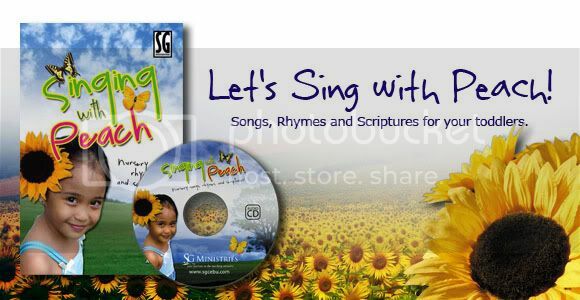 This booklet contains 13 Nursery songs, rhymes and scriptures. Selections include: Bahay Kubo, Psalm 23, Jesus Loves Me, Two Little Frogs, Hello to All the Children of the World, Read Your Bible and many more! Sunday School Singalong is the answer to a children’s hymnbook. These Sunday school collections are melody lines with lyrics, accompanied by piano scores. Volume 1 contain 45 songs, and Volume 2 contains 44 songs. Each collection includes well-loved traditional children’s song plus Patch the Pirate Favorites. The CDs are in split-track version for easy use in children’s church, Sunday School, and Christian school classes. Hand motions are included for group-singing fun. Volume 1 includes: Only a Boy named David, Jesus Loves the Little Children, Deep and Wide, This Little Light of Mine, Daniel, Gideon, Obedience, The Poochie Lip, Wiggle Worm and more. Contact Us if you would like to order. The easy-sing, easy-play format of the choral book features simple arrangements suitable for beginning pianists or young choirs. Using the background of a Sunday school class, this music CD teaches the many names of God. 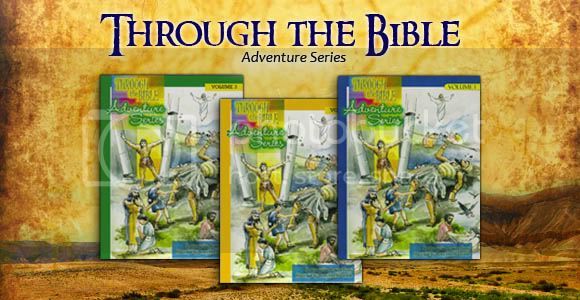 Your children will enjoy both the story and the songs, while learning more of the Savior. So Many Names presents the wonderful character of God as described by the names given to Him in the Gospel of John. 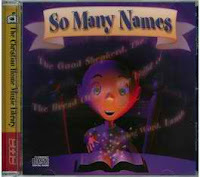 This CD is a must-have for every family and Sunday School teacher. 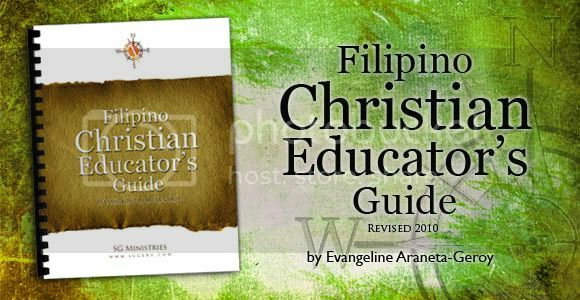 The songs are well-loved choruses, hymns and familiar verses your children will surely love and keep in their hearts.